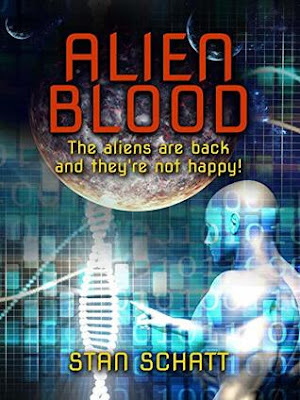 Alien Blood is a roller coaster of an adventure that looks behind today's headlines to discover the truth behind several so-called conspiracy theories. America's secret pact with the Grays and the Draconians to permit human abductions in return for technology is in danger now that both alien races fear the return of a far more ancient race. Ann Swift suffered from frequent alien abductions before killing herself, and now her daughter astrobiologist Heather Swift is in great danger because her DNA and special talents might provide clues about the returning race. Did those aliens bio-engineer hybrid humans and leave clues as to their own abilities? When government agents kidnap her, it is up to her brother and ex-SEAL Ben Swift to rescue her and learn the secrets hidden in their DNA. Along the way he discovers the dark secrets hidden in Area 51 and Dulce as well as a secret base on Mars. Along the way he learns that aliens from several worlds already reside on Earth and that those closest to you might actually not be human. Stan Schatt has written forty books on a wide variety of topics including science fiction, mysteries, a chapter book for children, a YA novel, biographies of Michael Connelly and Kurt Vonnegut, Jr., and books on technology and career changing. 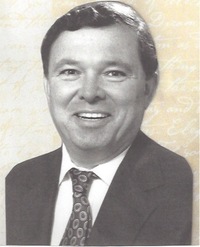 His love for teaching is reflected in outstanding teaching awards he received from the University of Southern California and DeVry Institute of Technology. Rather than having one career, Schatt has had several. He has worked as an autopsy assistant, an English professor, a software trainer, a law enforcement administrator, a market research executive, and a sales manager. He spent the last two decades as a technology analyst or 'futurist" trying to figure out what future technologies will be successful.